DEMO DAY 2! - Brick & Banister Real Estate Co.
Peeling down wallpaper, scraping off ceilings, chipping off tile, and peeling up linoleum. We are getting close to being able to start putting it back together! 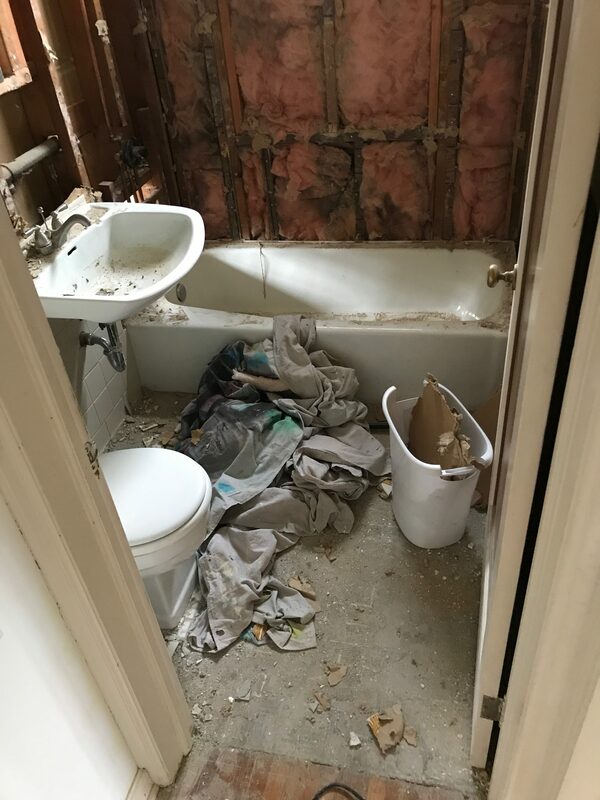 This bathroom is going to look great with a new tile surround, new hexie tile on the floors and a fresh coat of paint! I’m working on refinishing those original 1940’s cabinets in my basement at home. I’ll post before and after pics for you because they are going to come out beautifully!